On the 6th of December LDD Kyllikki continued its tradition of an Independence Day Inspection. The inspection includes awarding deserving soldiers with service decorations and promotions. Lieutenant Raunhofer, the detachment's new commander since June, inspected the platoon for the first time. Kers Kassu was awared with Pro Kyllikki (PK) for exemplary service and great favours for the detachment. Alikersantti Scottz was promoted to Kersantti (kers). Sotamies Epa was promoted to Korpraali (korpr). Sotamies Nollakaks was promoted to Korpraali (korpr). Alik Arto, korprs CZ, Naatti and Pionjaer, and stm Vultyr were awarded with Kuntoisuusloma (KL) for exemplary service. In addition, ylivääpeli Broileri was awarded with the 15-year service ribbon and korpr Nouty with the 5-year service ribbon in recognition of their long and active service. Awards for the Detachmental Marksmanship Competition of 2016 were also given. The competition lasted for a month and turned out to be of quite a high standard, with many of the shooters improving their speed and accuracy time and again. The winner, kers Kassu, was awarded with Ampumataitomitali 2016 and the 1st Class Marksmanship Ribbon. Ylik Kuik, korpr Pionjaer, and yliv Broileri were awarded with the 1st Class Marksmanship Medal and Ribbon. Korprs Naatti, Sakinz, Nollakaks, Mika, and Epa were awarded with the 2nd Class Marksmanship Ribbon. Kers Scottz, alik Arto, stm Vultyr, alik Haba, korpr CZ, korpr Ukka, stm Hesari, korpr Hammer, and vänr Sami were awarded with the Marksmanship Ribbon. After the inspection, LDD Kyllikki was informed about enemy activity in a nearby village. Further celebration was postponed as LDDK rushed to defend the locals. The enemy was promptly forced to retreat once more. 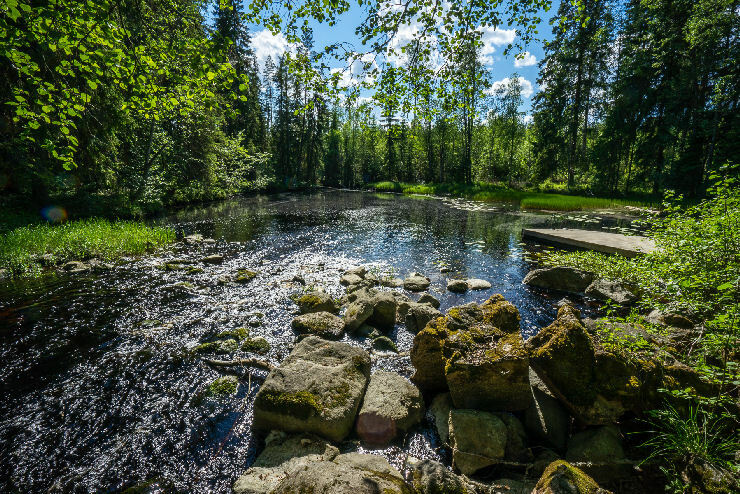 A squad meeting was held in the Isojärvi National Park in early October. The participants enjoyed clear autumn weather throughout the weekend. A campfire, made on Friday afternoon, was kept going until Sunday. Food and beverages were had, and local lake creature population was observed. The meeting saw also the very first airborne vehicle designs by members of the detachment. 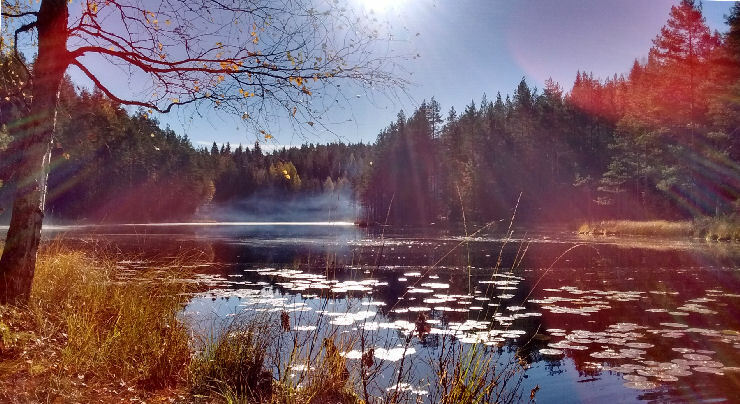 Haba, Psykoisi, Broileri, Sami, Kuokkanen, Kassu, Arto, Scottz, Stellar, CZ, Naatti, Pionjaer, Ukka, Vultyr, Strat, Nouty, and Shuko have been awarded with Talkootyön ansiomitali (TA) for participating. LDDK has renewed its organisation. The new platoon structure, which has been tried and tested in the forests of Tanoa since September, has three infantry squads and no armour. While platoon command can use all three squads interchangeably for any role, the Light Squad specialises in reconnaissance and flanking manoeuvres, the Assault Squad in breaching positions and close quarters combat, and the Heavy Squad in direct contact, anti-tank action, and indirect fire. The new platoon is highly dynamic in its operation and has already been found to be well-suited to the challenges of jungle warfare. As training continues, LDDK's infantry platoon will be able to consistently defeat a much larger enemy force. In addition, LDDK has since the spring used the Task Force Radio for its battlefield communications. The acclaimed modification brings unprecedented immersion on a convenient scale by combining Team Speak 3 with physical in-game radios. Hesari has been promoted to Sotamies (stm) and assigned to the Assault Squad as an AT rifleman. Congratulations! Hesari has joined the Detachment. Welcome! A platoon meeting was held near Seitseminen National Park to celebrate LDD Kyllikki's 15th year of battle. The four-day festivities took place on and around the Finnish Defence Forces flag day on 4 June. Excellent food was prepared by our team of semi-professional chefs, and over two dozen members of the detachment enjoyed the sauna, the campfire, fun and games, mölkky, sahti, HTC Vive, and rosvopaisti, as well as patrols to the national park, day after day and night after night. stm Pionjaer to Korpraali (korpr). In addition, yliv Broileri, korpr Sakinz, korpr Ukka, and stm Nollakaks have been awarded with Kuntoisuusloma (KL) for exemplary service. Finally, command of the platoon was transferred from kapt Psykoisi to ltn Raunhofer. Ltn Raunhofer is thus LDDK's new commanding officer. LDD Kyllikki is deeply grateful to kapt Psykoisi for his many years of leadership and service and is looking forward to his continuing career in the detachment. Psykoisi, Raunhofer, Sami, Broileri, Charlie Frank, Jarger, Kuokkanen, Arto, Haba, Lufti, Scottz, Naatti, Pionjaer, Ukka, Nollakaks, Vultyr, Mammoth, Wolfskin, Kegetys, Maako, Stellar, Strat, Pete, Shuko, Nouty, and Elli were awarded with Talkootyön Ansiomitali (TA) for participating. LDD Kyllikki's 15th-anniversary celebrations will continue. 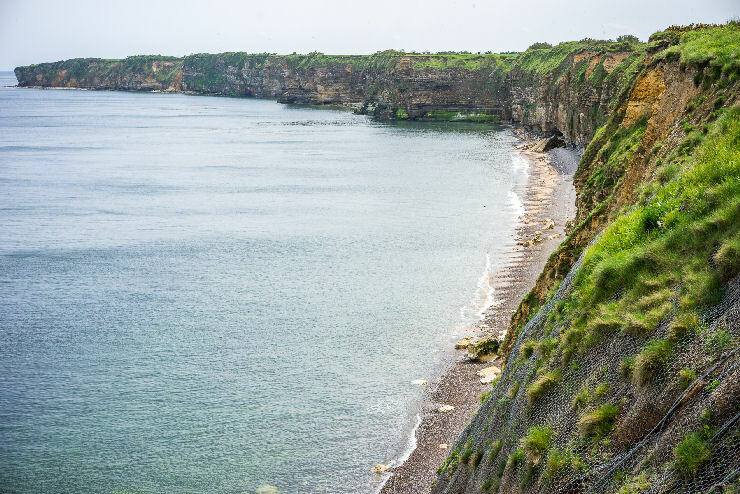 A long-range patrol, led by ylil Psykoisi, managed to fulfil its objectives during an incursion to Normandy, France. Several concrete bunkers were found to be empty of guns, and all in all the beachline was found to be poorly protected. Only outdated weapons were discovered in the few depots, and they seemed to originate from several different nations. The local population seemed ignorant when addressed in English and were puzzled by attempts to communicate with phrases like "Parlez vous Français" or "Voulez-vous?". The local cuisine was found to be wanting. The landscape offered several potential spots for aerial incursion by paradrops, but were closely guarded by huge guard animals called "La vache". Finally, the patrol managed to sneak out of the country thanks to their pre-planned exit strategy. Plans for the next long range patrol are already on the way. Today, Local Defence Detachment Kyllikki celebrates its 15th birthday with a variety of commendations as well as an NCO promotion. 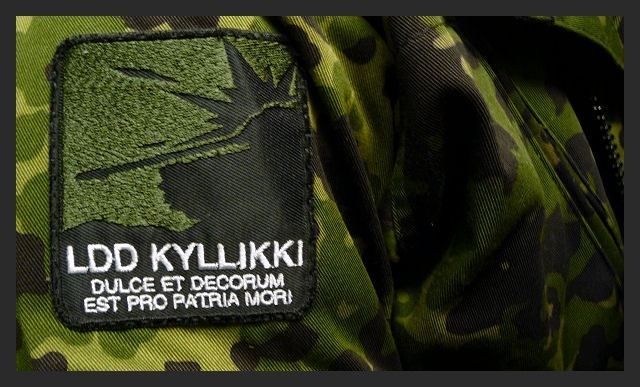 Formed on 30 March 2001, LDDK is one of the oldest active Arma units in the world and the oldest of its size in Finland. After 18 months of bureaucratic sabre-rattling, the following members of the Association of International Mercenaries are finally awarded a posthumous ribbon for taking part in the operation codenamed "Raw Deal 2" on Altis. Kuokkanen - John A. Pielaveti Jr.
We would also like to thank everyone outside the ranks for participating in the open campaign. In addition, korpr Arto has been promoted to Alikersantti (alik). Finally, as the only founding member still in service, yliv Blake has been awarded with the 15-year Service Ribbon in recognition of his long and active service. The newly-elected president of the United States, a former real-estate mogul, has decided to avenge his old adversary. President's target is a Greek businessman and drug baron who cheated the president in the Mediterranean holiday real-estate business in the 1980s- This caused the president losses of hundreds of millions of dollars and spiraled him near bankruptcy. On behalf of the president, CIA deputy director of operations has come up with a plan named "The Final Deal" which utilizes international mercenaries and provides 100% deniability of any US involvement. 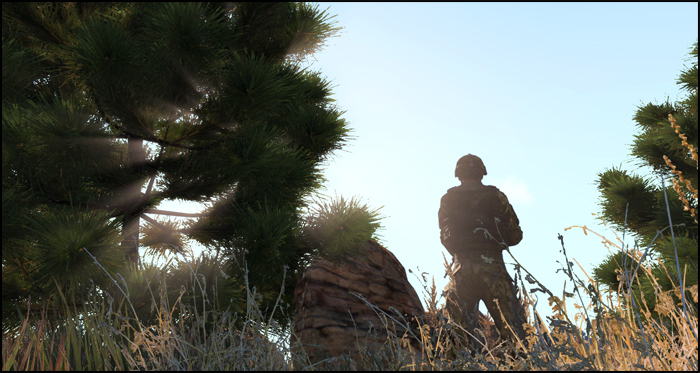 Your task as professional mercenary outfit is to execute a covert operation to destroy the president's old enemy on the island of Altis for significant monetary reward. Sign up for your place on the LDDK Forum now! Vultyr has been promoted to Sotamies (stm) and assigned to the Jaeger Squad as a Rifleman. Congratulations! 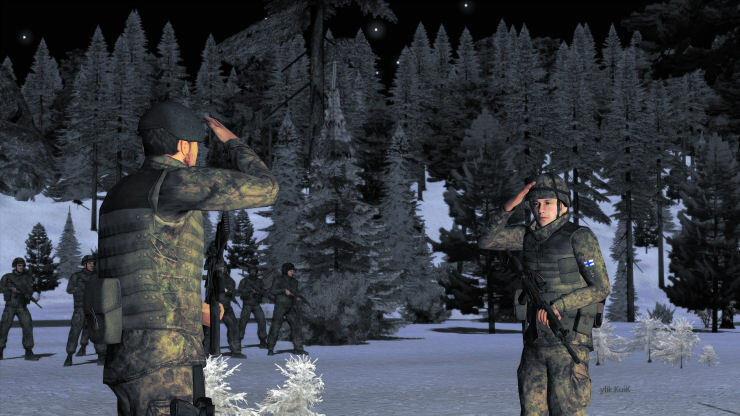 On 21 February, LDD Kyllikki will launch an Arma 3 campaign open for all Finnish-speaking players. This is your chance to fight alongside the brave soldiers of the LDDK in three missions during February and March. Pick a slot from the roster or simply join the server on campaign nights at 20:30 (EET) and wait for further instructions. Vultyr has joined the Detachment. Welcome! LDD Kyllikki begins a new year full of action. Interested in joining? Click here for more information. Welcome to play with us! Copyright © 2010 Raunhofer & Arkkis. All rights reserved.